Last Wednesday I had the opportunity to attend an Event at the Intu Trafford Centre in Manchster. 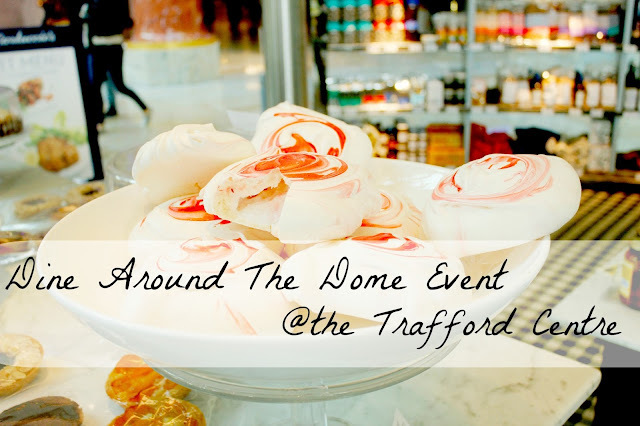 Thanks to the Ladies at the Press Tent I had the chance to Dine Around The Dome and sample the best of the food the Intu Trafford Centre has to offer! Upon arrival at 360 Champagne and Cocktails bar, I was greeted by the lovely PR Girls. Soon I was sipping on an Elderflower Martini. I'm not a martini girl, but that cocktail was delicious! Our first stop took us to France sampling the finest Cafe Rouge had on offer. 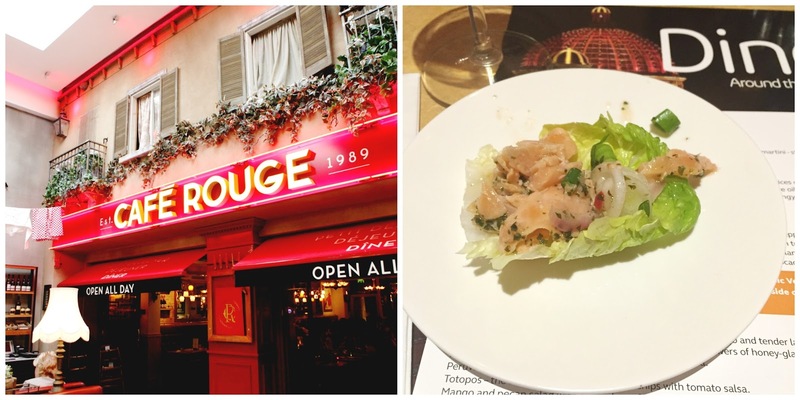 You know when you had a semi- tough day at work and all you want to do is relax with that glass of wine, yes Cafe Rouge had us...well me covered in that aspect! I'm not a wine expert but I recognise a good Sauvignon Blanc when I taste it! We were served a Saint Etalon Sauvignon Blanc with a crisp and tangy taste, a perfect combination with fish! Speaking of fish, served as an entreé we had a Ceviche de Saumon. - cured salmon with spices such as coriander served on baby gem. Our second stop took us from France to Italy. Now I'm a huge antipasti fiend, so the spread that met us at Carluccios was a dream for me! 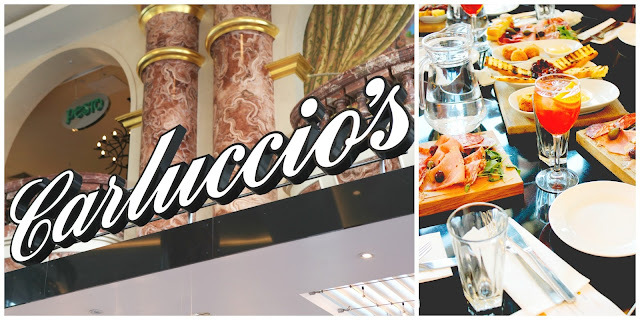 While we had the best thinly sliced meats from Carluccios Deli, yes they have a deli...I want to take this opportunity to talk about Pepolata Aramcini. If you had the pleasure of knowing what I'm talking about, you know that these little crispy fried Pepolata and mozzarella rice balls are heaven. Our next stop took us to the Latin American restaurant Las Iguanas. There we feasted on street-style pasties filled with lamb / brie. However my personal favourite was the Mango and Pecan Salad with Avocado. It was so delicious with the caramelised pecans sprinkled on top! The Mango and Pecan Salad with Avocado was a sheer delight! Next we headed to Wokooshii where we received a very warm welcome. 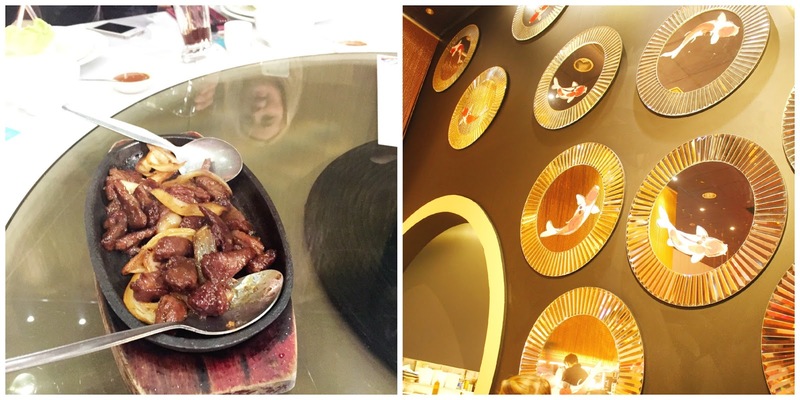 On the menu there, we had a mix of Japanese and Korean cuisine. My personal fave was the Beef Bulgogi a dish listed 23rd in the Top 50 Most Delicios Foods poll. Together with the Spicy Chicken Bibimpap, those dishes definitely impressed me the most. I'm also now a convert of Sparkling Sake Wine...I think that's what it was. You could definitely feel the warmth while we were there. Their friendly and welcoming demeanor really made me feel very relaxed. When I cheekily asked for some Kimchi it was next to me within seconds! As we got chatting to the owner, he told us that Wokooshii is one of the few, if not the only family run restaurants in the Trafford Centre. Korean Beef Bulgogi on the left. As we walked in we were greeted with a table full of fine deserts. We were each assigned our personal number corresponding to our own personal dessert. I got give the number 11 and I must say, whoever distributed these numbers is an Angel...I got given a full board of Churros! Piping hot and delicious! 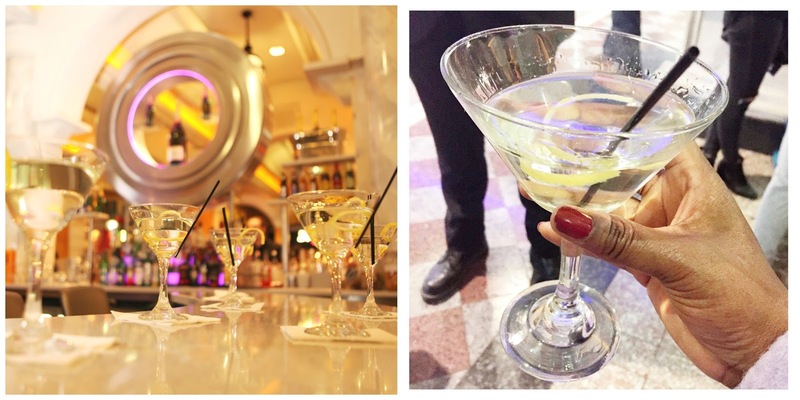 To top it all of we sipped on Coffee Martinis and other caffeinated goodies! One lucky winner, in this case Stephi received an amazing bottle of alcohol that can only be described as a magical swirly bottle of goodness! Congrats Stephi! Thank you Intu Trafford for such a great event, thanks you all the restaurants participating. 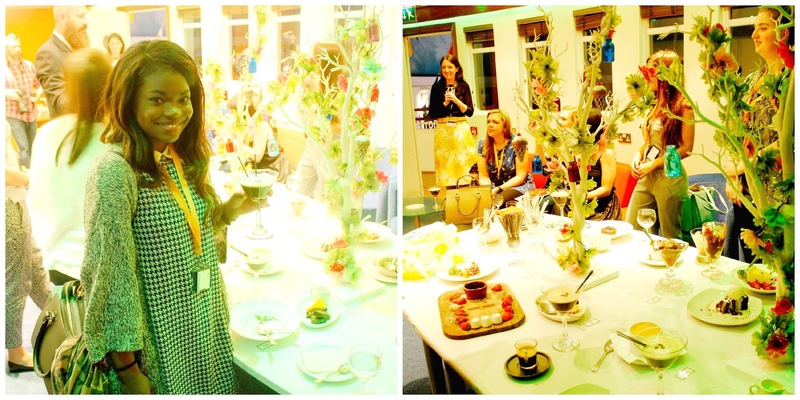 Another big thank you goes to the PR Ladies and Gent, organising such a brilliant evening! Thank you also to the Press Tent for selecting me to go, I had the best time! As you can also see some of the images speak louder than words, whilst some of the images above are my own, some have been taken by Jason Lock, who you can find here. Thanks, Jason! I can definitely say that my next visit at the Trafford centre will not end with me dining at McDonalds & Co. 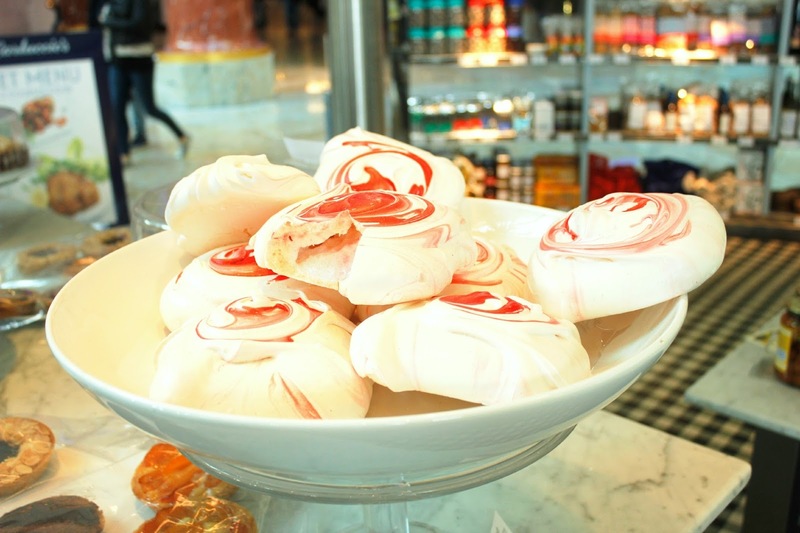 I have always walked past places such as Las Iguanas and Wookiishii always opting for the quick and "easy fast food that is dotted around the food hall. BUT my oh my have I been missing out! Cafe Rouge brings you that authentic rustic feel of France, whereas Carluccios gives you an impression of the modern Italian cuisine. From Las iguanas stunning combination of flavours to Wookiishii's amazing dishes and hospitality, expand your taste palette a little further next time you're stoping at the Trafford Centre!